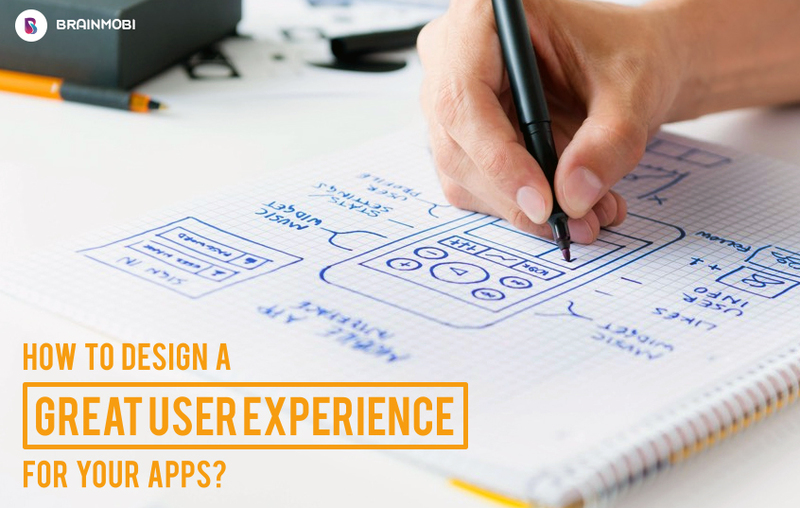 How To Design a Great User Experience For Your Apps? Mobile App Development has reached its zenith. These days, building mobile applications that attract user’s attention has somewhat become paramount. Being an entrepreneur, it is impossible to neglect the importance of having an eye-catchy and feature packed mobile app. For most of the people who are not well versed with the current market scenarios, I must say UI is important in the App – But don’t forget the UX. The term User Experience (UX) is an under-rated term which is often misinterpreted in the design community. The user interface however, is not the same thing as the user experience. I often compare the work that I do as an UX Analyst with those who are less aware of designing a great user experience. Getting an intuitive and engaging UI require powerful UX design. User experience, also commonly known as the UX or UXD is the process of enhancing user satisfaction with a product by improving the usability, accessibility, and pleasure provided in the interaction with the product. It defines what kind of an experience the end user is having for a product. It involves color, layout, psychology, perception, demographics, and manual feedback mechanism. According to Willy Lai, UX Design Leader – User experience is a person’s perceptions and responses that result from the use or anticipated use of a product, system, or service. Businesses can’t afford to ship products that result in bad user experiences. When users have bad experiences with your app, they leave and go to your competitors. So, you’re not only losing users, you’re actually helping your competition. By contrast, good user experience design is a competitive advantage, with both short-term and long-term value. When designing good user experiences, involve users early and often in the product development process, and ensure the product you’re designing is user desirable, business feasible, and technology feasible. Everyone want their mobile apps to be powerful and yet simple, but can you achieve both? The answer is YES, you can achieve both. An application can be powerful if it is full of tremendous features for users to explore. When you give multiple features in one single application. Whereas simplicity can be achieved by selecting the right feature set and presenting the features in the right manner. What I feel is simplicity always dependent on users perception. Let’s take an example of WhatsApp. 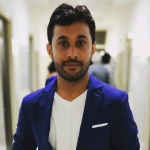 Some feel that WhatsApp is a very complex chatting application where I think that it’s the easiest platform to chat and interact with friends and family. While doing UX, the most common problems that users will encounter are being identified. The UX designer then designs the flow of the application. On the hand usability also plays an important role as it decides how a user navigates through the application. This includes every aspect of the application from icons, to text, to interactions. The goal of UX designer is to make the user’s interaction as simple and efficient as possible. He is always worried about, how the user will feel when interacting with the application. So an UX designer keeps on researching to figure out which category of apps are trending and what are new innovative ideas on those apps. Thus understanding their pain points and providing them with a valuable solution. The approach should always be in line with a vision statement, which is “Creating Next-Gen Mobile Apps”. This is why UX matters. So always design for probable, not the possible. A successful mobile app is one that is powerful, simple and solve user problems. It is always the look and feel of the application, easy to to use app interface, compatibility with mobile platforms, loading time of the app, and lastly it’s consistent performance that allows user to continue to use your app. A top rated app is one that works perfectly irrespective of any mobile device and one that consumes less battery. An app that constantly gets crashed, takes more time to load, not working very smoothly can never become popular among users. Therefore, to make your app successful and get it listed among the list of top 10 mobile apps, it is very important to focus on UI and UX. Although the work of both UI and UX designers is different but they work together to build a great user experience of your apps. When it comes to developing a mobile app, User Experience (UX) and User Interface (UI) are the two most important things that you cannot afford to ignore. Irrespective of the amount of time you spent on designing, it is of prime importance to understand the behavior of your target audience prior to developing a mobile app. The so-called “bad user experience” can be a result of a “bad user interface”. With the world full of top mobile apps, you need an unique and intuitive app interface to make your app stand out from the crowd. We at BrainMobi, place a great deal of importance not only on User Experience (UX) but on User Interface (UI) as well. While designing, we always focus on latest patterns, new style guides, responsive design, and 508 compliance for accessibility. We also stick to our OS guidelines to create a better user experience and a brilliant app user interface. So it is necessary to follow a design led mobile app development approach that would aid you in designing great apps for your users. Liked our blog? Share your thoughts in the comments section below and get in touch with like-minded people.